$34.95 Originally. On Sale Now. "All Natural Gray Hair Supplement"
Plus 10 Hair Nourishing Herbs & Vitamins! • More Hair - Less Gray! • Packed with B Vitamins! • Prepared High Potency 12:1 Extract! • Advanced Shou Wu contains Bioperine (Black Pepper Extract) which has the ability to increase the absorption of Shou Wu or Fo-ti. • Advanced Shou Wu works to nourish the liver and kidney creating a better blood flow to the scalp and providing more nourishment to the head, thus creating healthier hair! • Experience The Most Amazing Longevity Herb Of All ! "Shou Wu"
4 Things You Should Know When Buying Shou Wu. 2. Is It A 1 Month Supply? "You Get What You Pay For" There are some well known vitamin and herbal companies selling Shou Wu and only giving you a 15 day supply. Customers usually think there getting a deal, but half way through the month find out why. Look at the serving size! Here are some examples of a 15 day supply. A 30 tablet bottle with a dose of 2 tablets once a day. A 60 tablet bottle with a dose of 2 tablets twice a day. A 100 tablet bottle with a dose of 3 tablets twice a day. All of these combination's are falling short of the bar. They do this because it makes the price "appear" to be half as much as there competitors. 4. How Potent Is Your Shou Wu? One way you can gauge the potency your Shou Wu is by finding out if it is an Extract. Extracts can be 10, 20 or even 100 times the concentration of a powder. For Example If you compared a 500mg tablet of Shou Wu powder to a 500mg tablet of Shou Wu 12:1 extract you would find it would take twelve 500mg tablets of the powder to equal one 500mg tablet of 12:1 extract. Which one do you think offers the best results? The irony is that powders are often marked up very high, and while extracts cost vitamin companies much more it might not cost you more. Here's one way to look at it. We know that twelve 500mg powder tablets equal one 500mg 12:1 extract tablet. Lets say the extract version costs 3 times more; however you get close to 7 times more Shou Wu so the value clearly lies with the extract. Also remember that the higher the extract ratio is the more potent and concentrated it is! Natures Elements offers the purest and most potent Shou Wu as a 12:1 extract. This Extract is contained in both our Original Shou Wu and our Advanced Shou Wu Formula under our Hair Renewal Catagory. 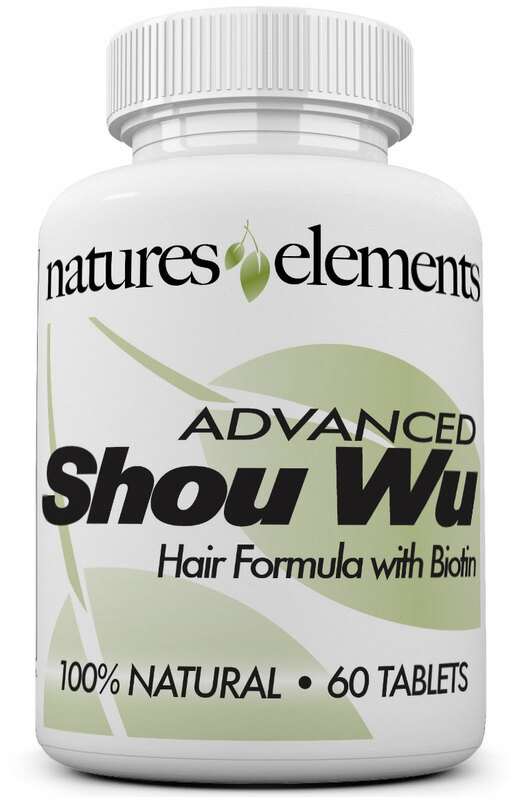 Advanced Shou Wu, The Perfect Blend Of Herbs Minerals & Vitamins That Can Help Improve Thinning Gray Hair! Also known as He Shou Wu is one of China's most amazing longevity herbs. He Shou Wu (a jing tonic) is still used today in traditional chinese medicine to prevent premature hair loss, graying, and to regulate excessive aging by tonifying the Liver and Kidney functions. Promotes healthy hair and nails. A deficiency of this B vitamin is associated with alopecia (hair loss). Biotin improves the metabolism of scalp oils, making the scalp a healthier environment for hair to grow in. Too much or too little oil on the scalp can impede or inhibit hair growth. Vitamin B3 is one of 8 B vitamins. It is also known as niacin. All B vitamins help the body to convert food (carbohydrates) into fuel (glucose), which is "burned" to produce energy. These B vitamins, often referred to as B complex vitamins, also help the body metabolize fats and protein. B complex vitamins are necessary for healthy skin, hair, eyes, and liver. Also called pantothenic acid, is one of 8 B vitamins. These B vitamins, often referred to as B complex vitamins, also help the body metabolize fats and protein. B complex vitamins are necessary for healthy skin, hair, eyes, and liver. They also are known to help prevent graying and hair loss. Assists the body in creating energy by turning carbohydrates into glucose. Like all B complex vitamins, it plays a major role in maintaining the health of the skin, eyes, hair and liver. MSM is a rich sulfur source which is vital for the structural development of hair, skin and nails. MSM has been known to improve circulation and replace old cells with new healthy cells. An extract from Black Pepper, bioperine, has the ability to increase the absorption of other nutrients. This property enhances both the individual effects and the synergistic benefits of ingredients in Advanced Shou Wu. Inositol plays a major role in preventing the collection of fats in the liver, as well as promoting healthy hair growth. The presence of the nutrient also aids in efficient processing of nutrients into the conversion of energy, which in turn helps the body to maintain a healthy metabolism. Also known as Horsetail is rich in silica which strengthens nails, skin, and hair. Silica also helps build stronger bones and teeth by improving calcium assimilation in the body. Functions as an antioxidant and helps to strengthen the immune system. Symptoms of a zinc deficiency can include dandruff and hair loss. An excellent free-radical scavenger (antioxidant) and important structural component of collagen, the most abundant protein in connective tissue. Calcium ascorbate is a natural form of vitamin C that is easily absorbed into the bloodstream for maximum benefit. For centuries, the Chinese have talked about an all natural herbal formula and its ability to bring back hair to its original natural color. Now for the first time in centuries, this time-tested Chinese formula is being brought to the U.S. It's called Shou Wu which literally means "the man with dark hair" in Chinese. Originating from the People's Republic of China, Shou Wu is also commonly referred to as Fo-Ti. This amazing component is extracted from the root of the ancient medicinal herb of the nutrient rich wild Eastern Rose Plant. Shou Wu is scientifically termed polygonum multiflorum and is a close relative to resveratrol. Both Shou Wu and resveratrol have been suggested to extend lifespan. Shou Wu is the most amazing longevity tonic of all. Shou Wu is still used today in TCM to prevent premature hair loss, graying, and to regulate excessive aging by tonifying the Liver and Kidney functions. It is also known for nourishing the blood, and fortifying the tendons, muscles and bones. Shou Wu is used to reduce cholesterol in part to its lecithin content. All these reasons are what make Advanced Shou Wu a tonic worthy of taking for the rest of one's life. The legend states Mr. He was a 58 year old man who was depressed because he was impotent and unable to have children. While wandering in the forests one day he came across a plant that reminded him of two lovers, when he dug up the roots they resembled a man and a woman. Taking this as a sign he ground up the root and started using the herb. Within a few months he felt increased vitality and within a year his hair turned from white to black. That is where the name He Shou Wu, translated to Mr. He's Black Hair, was found. But not only did it turn Mr. He's hair back to black, he lived on to have 12 children and 130 years old. 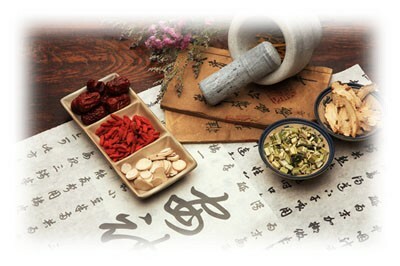 Traditional Chinese Medicine (TCM) believes that all health obstacles are caused by imbalances within our bodies. Problems can occur when an excess amount of moisture, heat, dryness, cold, toxins, phlegm or stagnation build up. This can cause an unbalanced or shortness of vital energies known as the three Treasures: Qi (Vitality), Shen (Spirit) and Jing (Essence). Good health is only achieved when the body is considered to be in perfect balance. He Shou Wu is a Jing Tonic widely known for helping to prevent premature aging. He Shou Wu is an extraordinary herb for the liver and kidneys, fortifying the ligaments tendons and bones. He Shou Wu is known for increasing sperm and making ova more vital, making it an excellent fertility herb. Natures Elements provides the best and purest form of Shou Wu. This hair growth herb contains a powerful 12:1 extract of Shou Wu. A 12:1 extract means that out of 120 pounds only 10 pounds of extracted ingredients are used resulting in a higher concentration for the tablets. This concentrated form of Shou Wu allows us to put 1,000 mg of Shou Wu in each serving. This potency is not commonly found in other products, so don't be fooled by imitators whose product may contain less milligrams and/or no extracted formula. Competitors often sell a less potent formula requiring you to take up to 3 tablets, 3 times a day or more. That's a total of 9 tablets! Because our Shou Wu is so concentrated you only need to consume 2 tablets once in the morning. Advanced Shou Wu is not meant to be merely a medicine to restore hair color despite its name. It got its name because of the herb he shou wu, just one of the herbs contained in it, has a reputation for improving the hair and restoring color. But Chinese herbalism is holistic and has as its aim to restore balance and health to the whole person. Graying hair, particularly premature grating is seen as a sign of imbalance and diminished health. The formulas primary goal is to increase overall health and thereby in time it often will improve the health and youthfulness of the hair as well. That particular effect might not appear for many months. To expect to see significant changes in the hair in two months or less is unusual. What you should look for is whether you are seeing signs of improved health such as energy, sleep, mood, digestion etc. This herbal formula would be contraindicated for someone with digestive weakness no matter if they have gray hair or not. Should not be used during a severe illness such as cold and/or flu, or during an infection. Those with Spleen deficiency and/or those who commonly experience loose stools, diarrhea, poor appetite or chronic digestive weakness should use with caution. Anyone with illness, liver/ kidney problems, frequent use of alcohol or taking any medications as well as pregnant or lactating women should consult your doctor before use. Discontinue use and consult your doctor if any adverse reactions occur. Stop use and see a physician if you develop any symptoms that indicate liver problems such as brown urine, light colored stools, jaundice, fever, vomiting. Not intended for use by persons under the age of 18. Keep out of reach of children. How Long Should I Take Advanced Shou Wu? Advanced Shou Wu is taken daily with two small easy to swallow tablets. 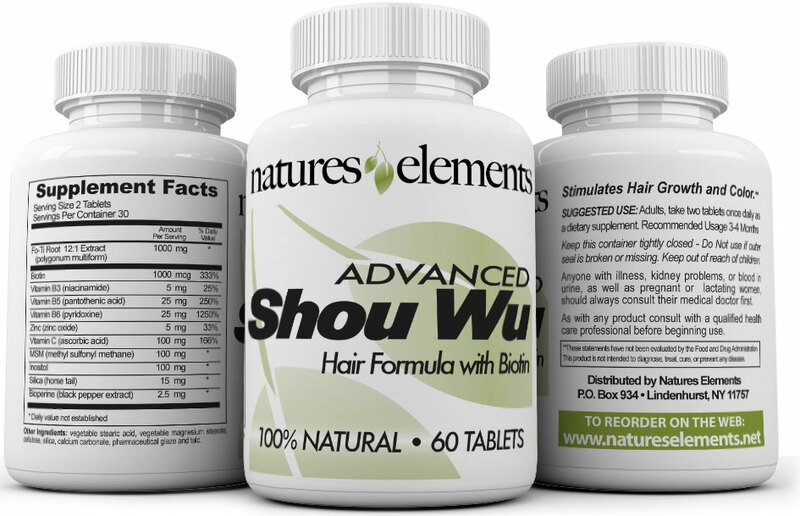 Each bottle of Advanced Shou Wu contains a 1-month supply. Although Advanced Shou Wu may work quicker from one individual to the next, we recommend you use it on a daily basis. After consistent use for at least 3-4 months, you should begin to see and feel results. You will achieve continued results the longer you are on the product. Be sure to order an ample supply. Natural medicine is designed to create a holistic balance within the body and can take time to propagate through your system. Be patient stick with it...you'll be glad you did! I tried the Advanced Shou HU and already after a couple of months I could see a general improvement in the condition of my hair: they had stopped falling around (I could notice that especially when I was washing them), + they were healthier and stronger. I also noticed that "going grey" process seems to have slowed down... After 4 months I can see that it sems like I have less grey than before...I dye them more than a month ago and they are still OK...I can still see some grey, so I will keep going with the tablets and will keep u posted with the results in the next 3 months..:) :) It would be nice to see if the grey will disappear COMPLETELY! I have used these vitamins for quite a while now and they work. My hair is still graying but it's GROWING! LOL!! Thank you so much! I've taken the Advanced SHOU WU now for three months and have notice excellent results! Not only do I not have to color my hair any more, I've also notice that a bald spot at the crown on my head is regrowing hair now. GREAT product & all natural which my body likes! Thank you for your fantastic product!!! My case may be different since I eat healthily, don't smoke or drink alcoholic beverages and exercise frequently. While Shou Wu has been targeted as a hair tonic, but also known to somehow improve functioning of bladder and kidneys, my comment is more of a miracle. My prostate problems have cleared up within one week of taking Advanced Shou Wu. No more burning while urinating, no more nightly frequent trips to bathroom, and I sleep uninterrupted for at least seven hours. Thank you. I love Shou Wu.